Tim Sparks Fingerstyle Roots, Rags & Blues. Virtuoso acoustic wizard and fingerstyle master, Tim Sparks presents Fingerstyle Roots, Rags & Blues, an insightful exploration of Early Americana Roots music and intensive fingerstyle study program for intermediate and advanced students. Fingerstyle Roots, Rags & Blues covers Delta Blues, Country Gospel, New Orleans, Ragtime, Early Jazz and the most amazing version of “The Mississippi Blues” that we’ve ever seen performed or heard here. The tunes in this collection evoke a time when American Roots music crystallized and was transformed by the effects of recordings and radio. Some of these selections were written for guitar, others are adaptations from piano and jazz band arrangements. A long list of Roots Music fingerstyle guitarists particularly influenced the material covered in Fingerstyle Roots, Rags & Blues; Duck Baker, Pat Donohue, Woody Mann, Steve James, Eric Lugosch, Eric Schonberg, Ernie Hawkins, Dakota Dave Hull, Phil Heywood, Guy van Duser, Lasse Johansson, Andy Ellis and Teja Gerken. Tim Sparks has been redefining the acoustic guitar repertoire since he won the US National Fingerstyle Championship in 1993 with a ground-breaking arrangement of Tchaikovsky’s Nutcracker Suite. Since then, Sparks has continued to surprise, challenge, and thrill audiences with his diverse repertoire and stunning technique. Equally at home within the Country Blues, Ragtime, Jazz or World Music genres, Sparks’ extraordinary ability to adapt virtually any music to the solo guitar has earned him an international reputation as one of the most innovative guitarists working today. Sparks has seven solo CDs to his credit including The Nutcracker Suite, One String Leads to Another and Guitar Bazaar on Peter Finger’s Acoustic Music Records. He has also recorded four projects for John Zorn’s Tzadik label, Neshamah, Tanz, At the Rebbe’s Table and Masada Guitars, (with Bill Frisell and Marc Ribot). Fingerstyle Roots, Rags & Blues presents two completely different arrangements of “Amazing Grace,” a rendition of Mother Maybelle Carter’s “Victory Rag” and early Jazz and Blues by the likes of Jelly Roll Morton, Scott Joplin and Eubie Blake. 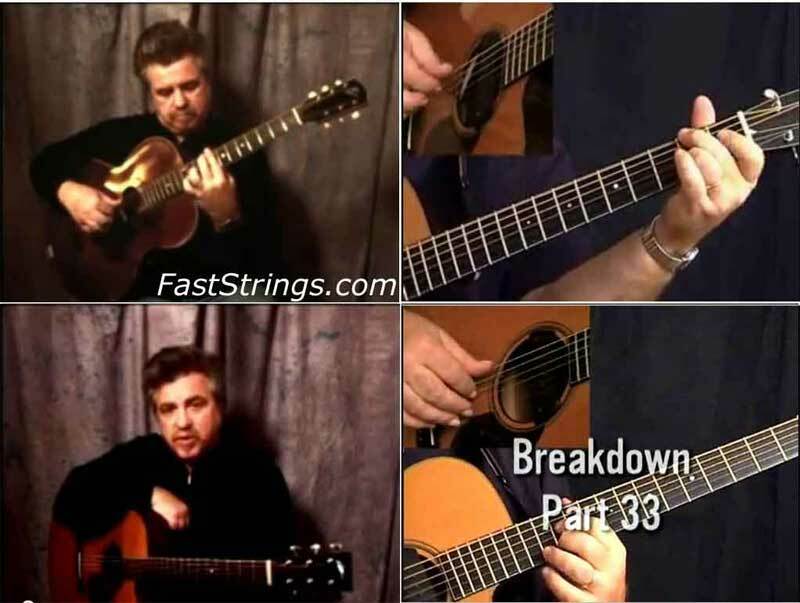 Sparks breaks down each tune, passage by passage, in detailed video explanations, notation and tabs that not only allow you to play the songs, but also gives you a treasure trove of chord voicings, licks, scales and turnarounds to use in your play. Hey, I downloaded these files and I can’t extract the archives onto my hardrive. The computer tells me “An error occurred while loading the archive.” This is the first multi rar video download I’ve gotten from this site, and I’m wondering if there’s something I’m supposed to do. Do these things need to have their own folder or something?